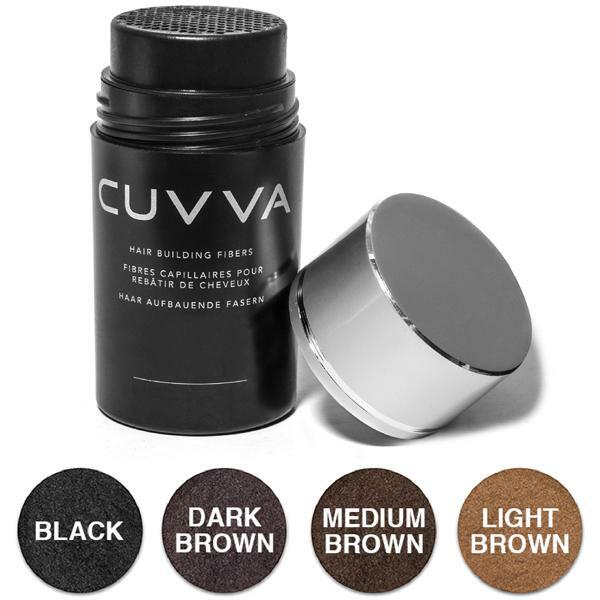 Cuvva Hair Building Fibers are made from high-quality, natural keratin protein — the same protein found in real human hair. These protein fibres carry a natural static charge. Once sprinkled into your hair, the static enables them to resiliently, but undetectably, cling and blend to even the tiniest hair strands. The result — a seemingly full head of thick hair, with impressive staying power, come wind, rain or shine.